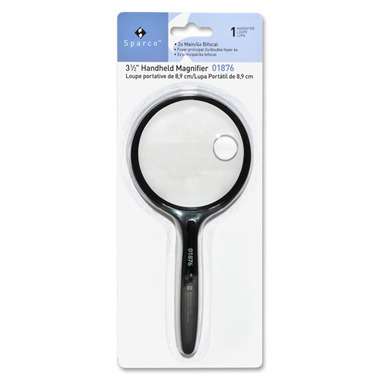 This handheld magnifier features a round, shatterproof, high-quality acrylic lens with a 2X main magnification and a 4X bifocal inset. Lightweight, one-piece moulded handle provides balance. Design also features black plastic frame and handle.